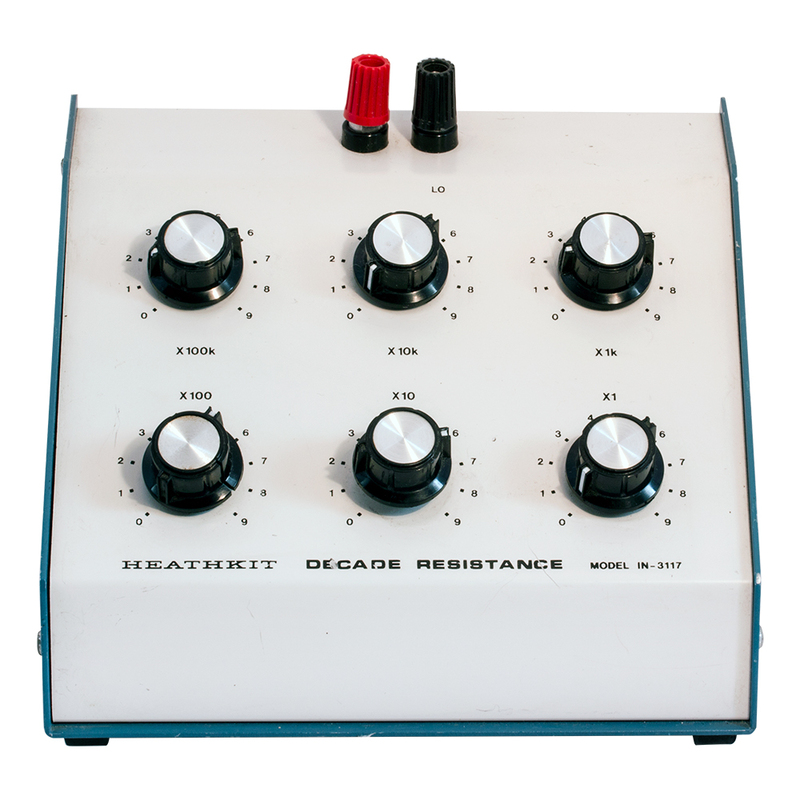 Heathkit decade resistor. 1 - 999,999 in 1 ohm steps. Includes manual copy. 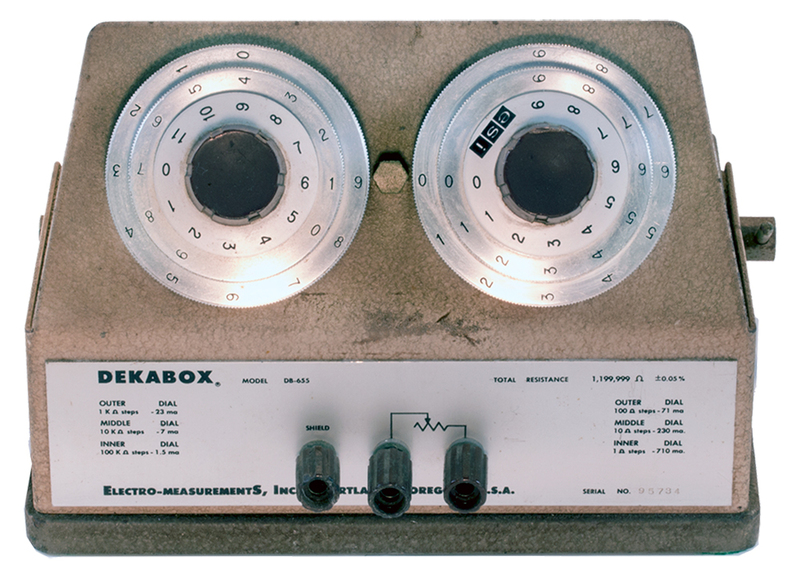 0 - 1,199,999 ohms ±0.05% "Resistance"
Electro Measurements, Inc. Dekabox. 0 - 1,199,999 ohms ±0.05%, "Resistance". 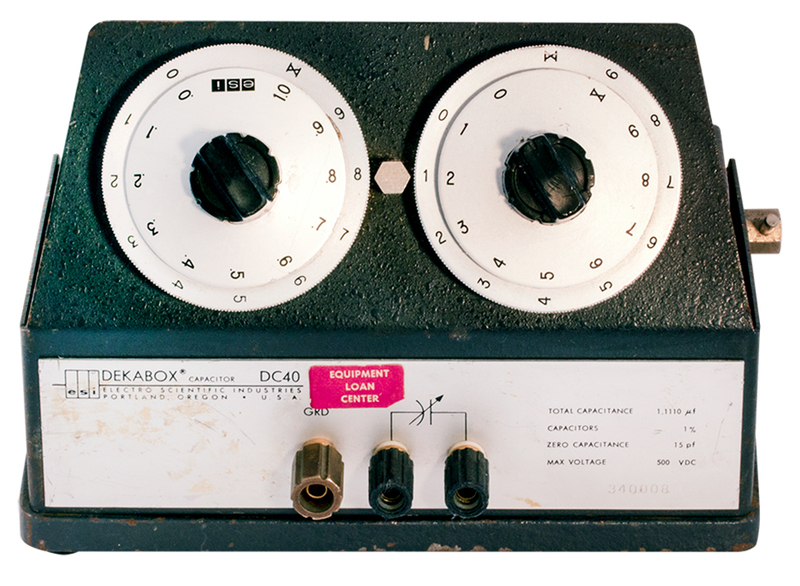 Electro Scientifc Dekabox capacitor. 0 - 1.1110 µF in 1 nF steps. 500v DC, 1%. 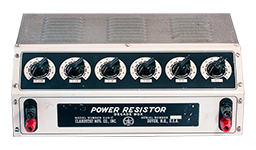 Clarostat power resistor "6" decade box. 0 - 999,999 ohms in 1 ohm steps. 225 watts, 1000v DC. General Radio decade resistor. 5 dial. 0.1 ohms / steps, 11,111 ohms total. ±0.01% accuracy. Source: Bogdan. 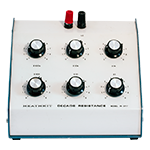 General Radio 7 decade resistor. 0 - 1,111,111 ohms in 0.1 ohm steps. Laboratory quality. 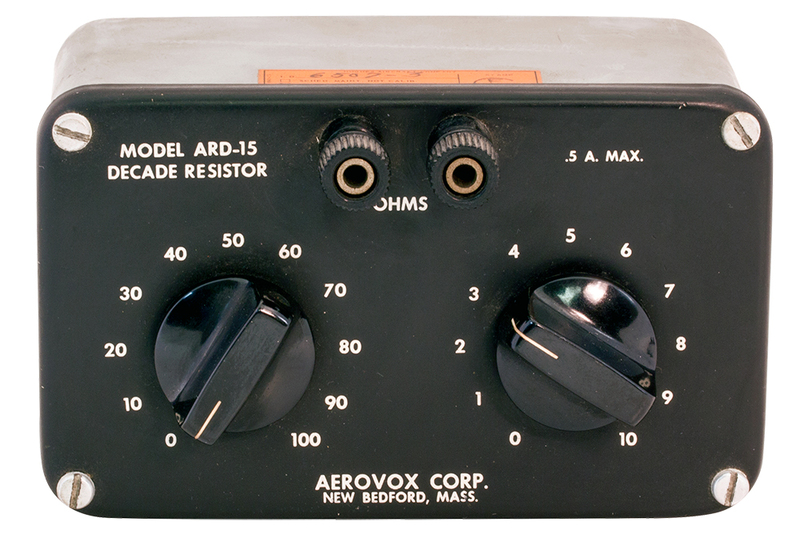 Aerovox decade resistor. 0 - 110 ohms in 1 ohm steps. 0.5 amps max. Binding post terminals. 3" x 5" x 3-1/4"H.
Aerovox decade capacitor. 0 - 1 µF in 0.1 µF steps. 600v DC max. Binding post terminals. 3" x 5" x 3-1/4"H.
Oeco decade resistor switch. 3 decades "0 - 7". 2-1/2"D x 4"H. Connector: GA-KH30-21-30PN. Made in 1967. New, surplus. Mfg. P/N: 7679. We have no further information on this decade. 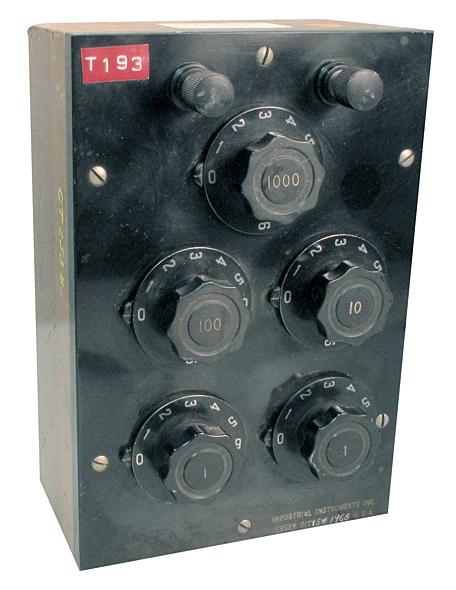 Industrial Instruments Inc. resistance box. 0 ohms to 9,999.9 ohms in 0.1 ohm steps. Solid hardware case screw binding posts, 9" x 6" x 5". 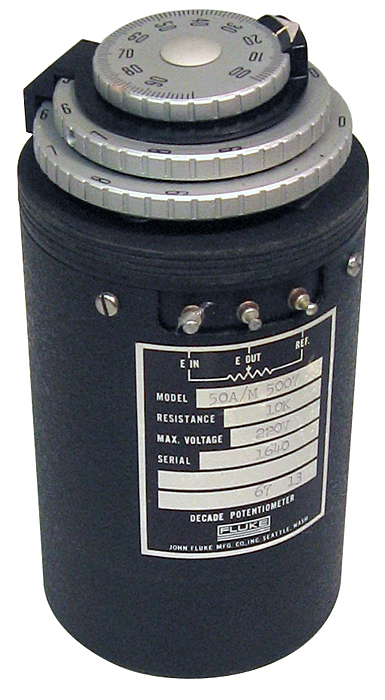 Fluke precision decade potentiometer. 10k ohm, 5 watts. Voltage ratio in 0.0001 steps. 220v max. 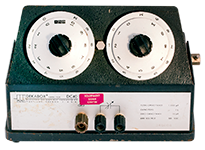 DC-100 KHz. Resolution better than 0.002%. Standard linearity ±0.005%. 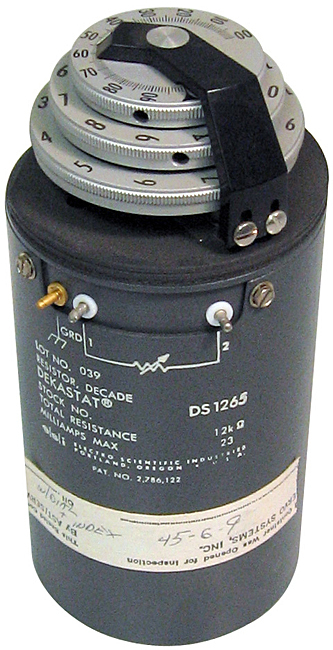 Coaxial Dekastat decade resistor. 1.2k ohm, 71 ma max, 1,000v max. 3 decade levels. Resistance at zero setting = 20m ohm. Through panel mounting instructions included. Used, excellent condition. 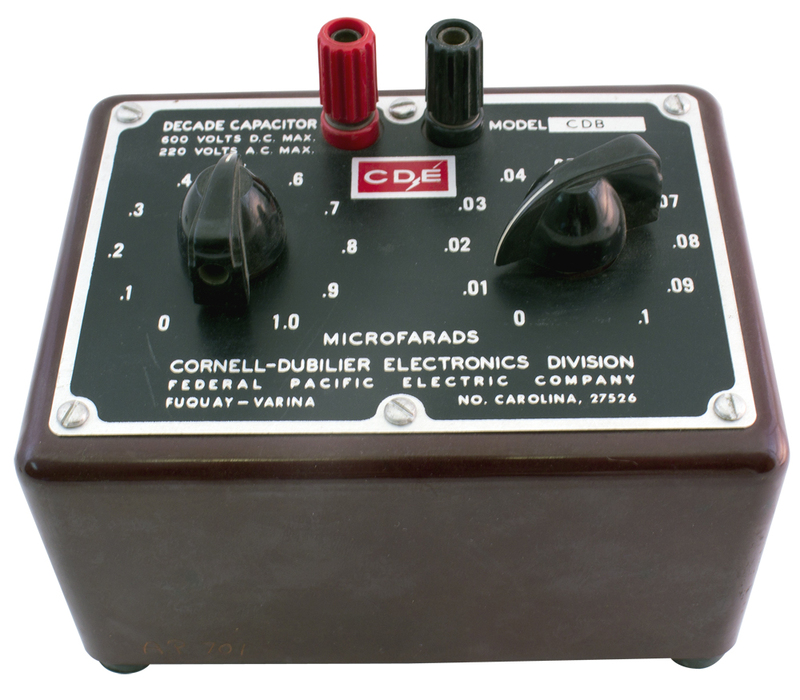 CDE vintage decade capacitor. 0.01-1.1mF. 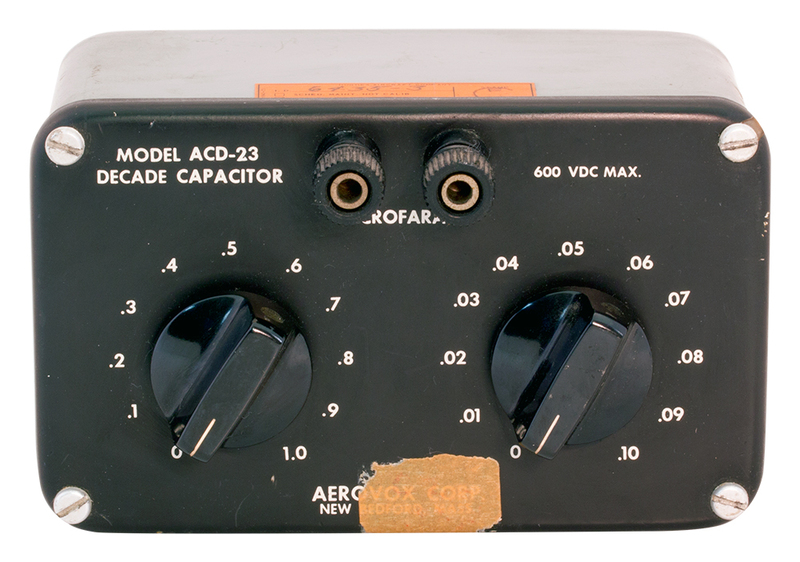 600vDC max. 3% accurate. 3-3/4" x 5" x 3-1/2". 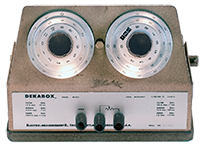 Manufactured and calibrated in 1980, N.O.S. 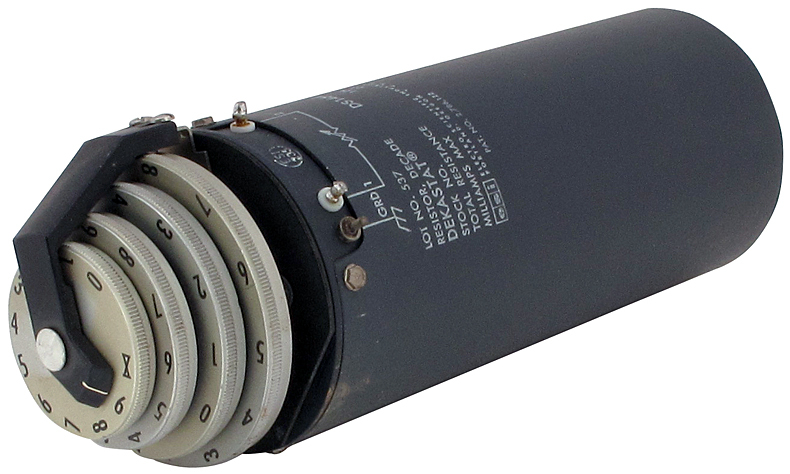 Coaxial Dekastat decade resistor. 12k ohm, 23 ma max, 1,000v max. 2 decade levels + rheostat. Resistance at zero setting = 30m ohm. 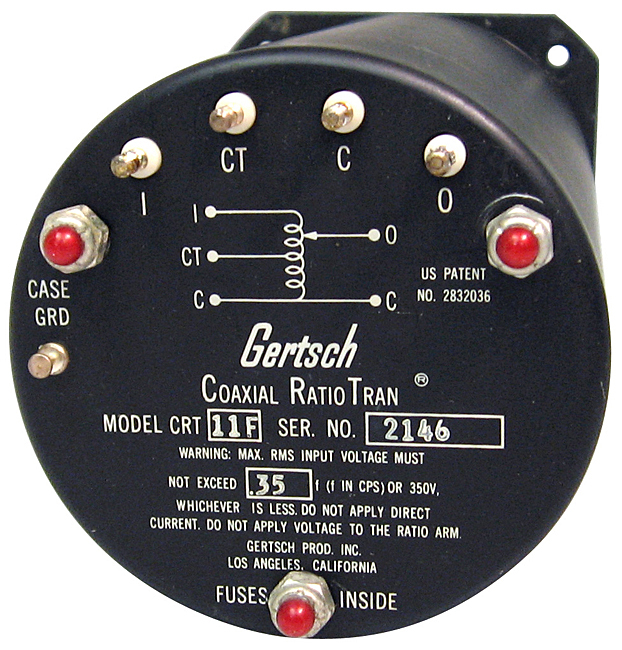 Gertsch coaxial ratio transformer. 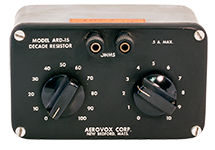 3 decades + rheostat. Heavy duty design. We assume the "AF" suffix is audio frequencies. Used, but in excellent condition. 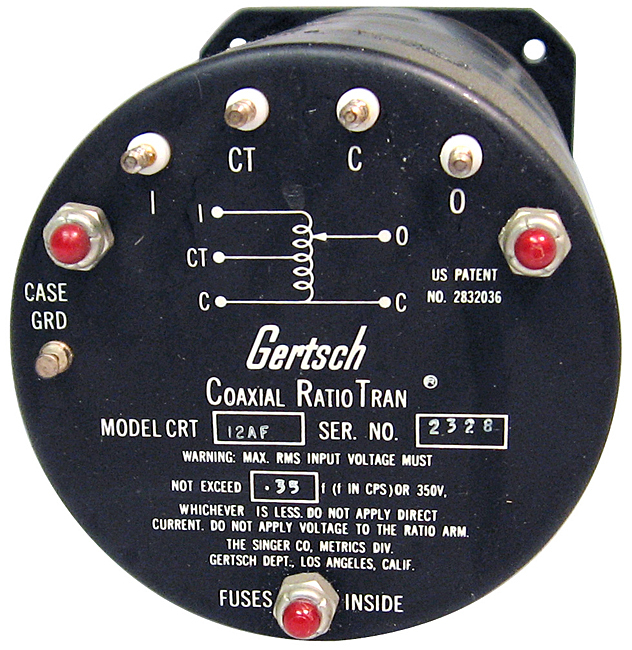 Gertsch coaxial ratio transformer. 3 decades + vernier with 99.9 turns counter. 3-1/2"D x 9-1/2"L. Like new condition. Daven decade resistor. 5" x 15-3/4" x 4-1/2" high. 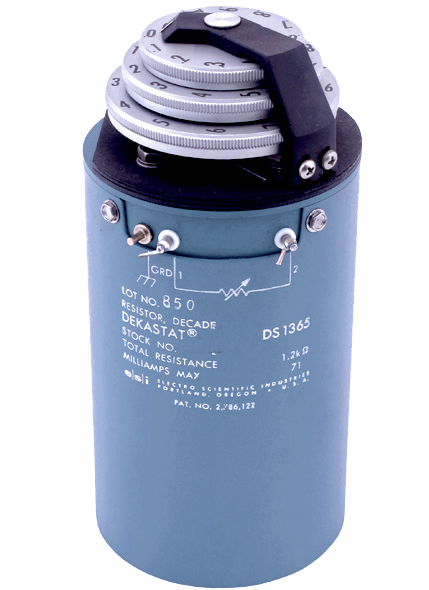 Dekastat decade resistor. 12k ohm in 1 ohm steps, 23 ma maximum. Dekastat decade resistor. 0 - 1.11 ohm in 0.01 ohm steps. 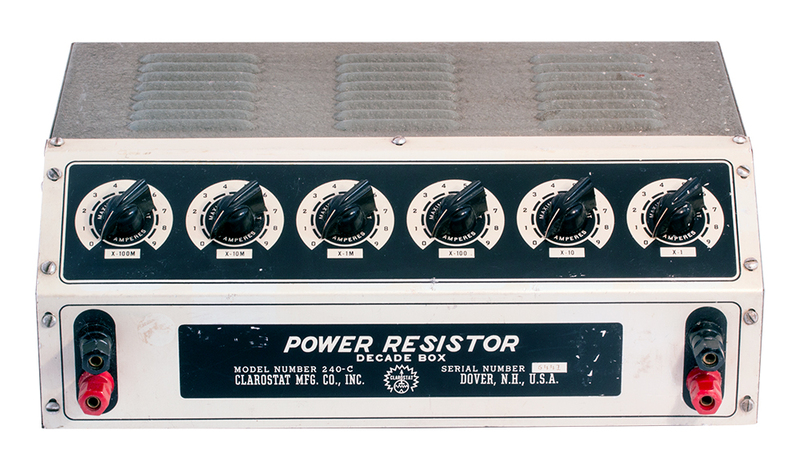 Oeco decade resistor. 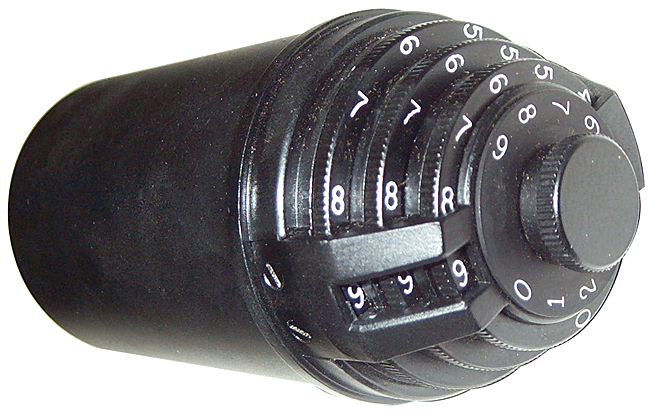 4 decades, 5 ohm divided into 9,999 steps. 2-1/2" diameter x 5-1/2" long. New, unused. Mfg. P/N: 7720. NSN: 1220-00-445-6586.